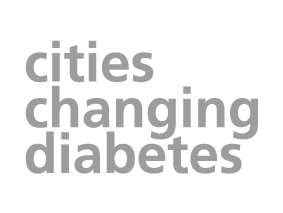 The Leicester Changing Diabetes team screened nearly 200 city residents and workers for type 2 diabetes, as part of a major awareness campaign. They visited several events across Leicester to mark World Diabetes Day, which takes place annually on November 14. 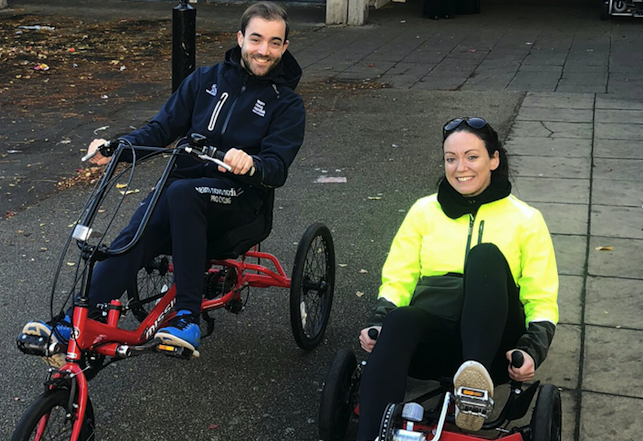 The idea was to increase awareness and to ensure as many people knew the importance of exercising, which is why they took part in a cycling event at the St Matthews Estate in Leicester City. Wheels for All, St. Matthews Big Local and the Ride Leicester team were all there, providing visitors with the opportunity to try out cycling on all different types of adapted bikes. The Leicester team also carried out diabetes risk screenings on site, while talking to attendees about following a healthy lifestyle to avoid type 2 diabetes, alongside the Team Novo Nordisk ambassador Brais Dacal, former pro cyclists with type 1 diabetes. He was on hand to talk to locals about his journey with type 1 diabetes and overcoming any challenges to achieve his personal and professional goals. Staff at Hastings Direct in the city got another chance to be given more healthy living advice from the Leicester Changing Diabetes team. They visited the Saint Georges Way site earlier in the year where type 2 diabetes screenings were carried out. The return trip was to follow-up with those who had been advised to see their GP or make urgent lifestyle changes. Finally, the team were invited to increase awareness of type 2 diabetes at a Parent/Carer Day at the Madani Schools Federation and to offer screenings for staff and parents alike. There, the team were able to speak with families about the importance of lifestyle in the prevention of type 2 diabetes with many completing the diabetes risk screening tool. 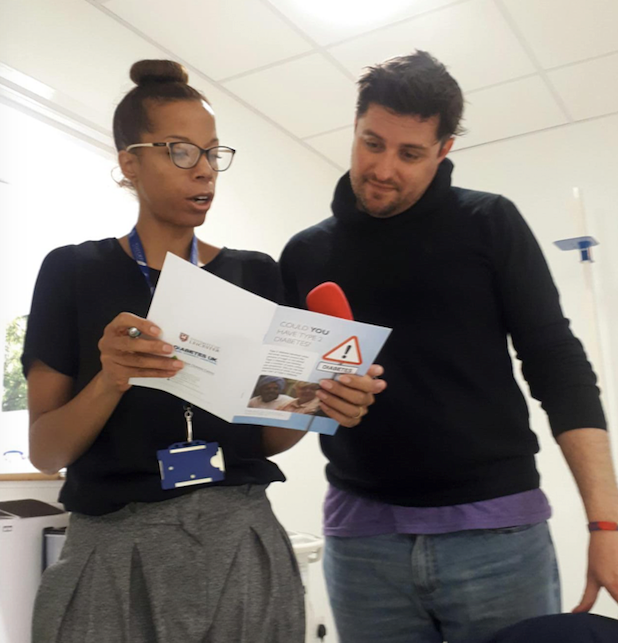 While all these events were happening radio personality Jimmy Carpenter on BBC Radio Leicester was talking his guests through the online risk score and helping them complete it live on air. He visited Leicester Diabetes Centre earlier in the week and found out his own diabetes risk from BME Centre’s Natalie Darko as well as getting some clinical input from Dr David Webb and Senior Nurse Rachel Berrington. Jimmy told our academic lead Deirdre Harrington (who hosted him) how much he enjoyed his visit and how much he learned. To hear the BBC show, click on the below links.